British Columbia’s microbrewery scene has bubbled up faster than a fresh-poured pilsner in recent years. But as the scene matures, locals and visitors have started focusing on their favourites and forming beery bonds that might just last a lifetime. Richmond has several thirst-slaking options. But one particular local ale-maker has attracted a committed following in the city and beyond. 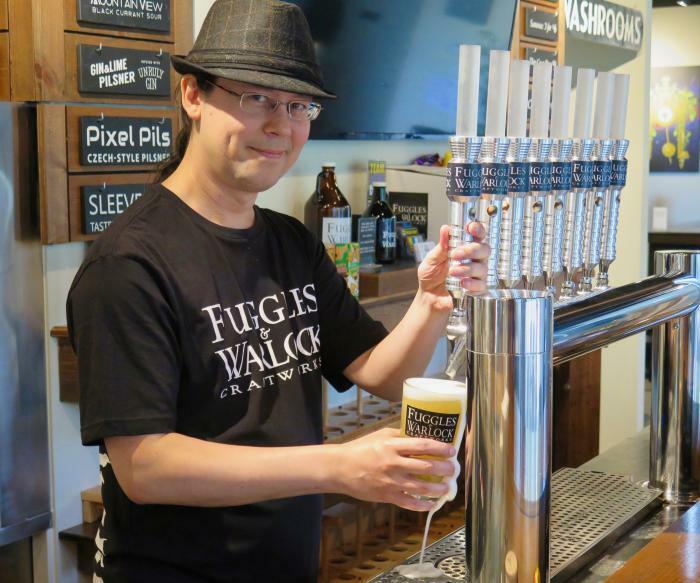 Located in a light industrial area of southeast Richmond, Fuggles & Warlock Craftworks has a great tasting room, highly inventive beers and a fun attachment to geek culture. Under the expert eyes of brewmasters Dan Colyer (aka ‘Fuggles’) and Tony Iaci (aka ‘Warlock’), the award-winning producer launched in late 2015, opening its tasting room just a few months later. We checked out the facility and chatted with Colyer/Fuggles about what they’re up to—and why you should visit. Tourism Richmond (TR): What’s the story behind Fuggles & Warlock? Dan Colyer (DC): Individually, Tony and I both began as home brewers but we found our beers were much better when we started working together. After a while, we were winning beer-making contests, collaborating with US breweries and finally creating beers on contract in BC. By the time we opened our own facility here in Richmond, we’d tuned-up our recipes and discovered what really worked. TR: Fuggles & Warlock is an unusual name – where does it come from? DC: I’m Fuggles and Tony is Warlock – they’re our beer-making nicknames. 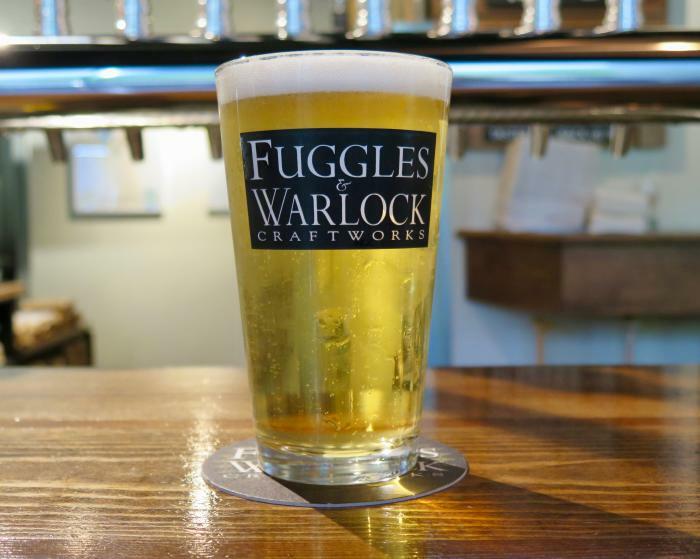 Warlock is a well-known magical name in geek culture but Fuggles is the name of a traditional hop from England. It’s actually my least favourite hop and I got the name because I had a reputation for using the word ‘fuggles’ instead of swearing! TR: Tell us more about the brewery’s geeky side. DC: Right from the start, we’ve been all about geek and pop culture. One of our most popular early beers was called Super 8-Bit IPA—we still make it today—and some of our others have included Chrono Wet Hop IPA, Hot Trub Time Machine, and Beam Me Up Espresso Milk Stout. 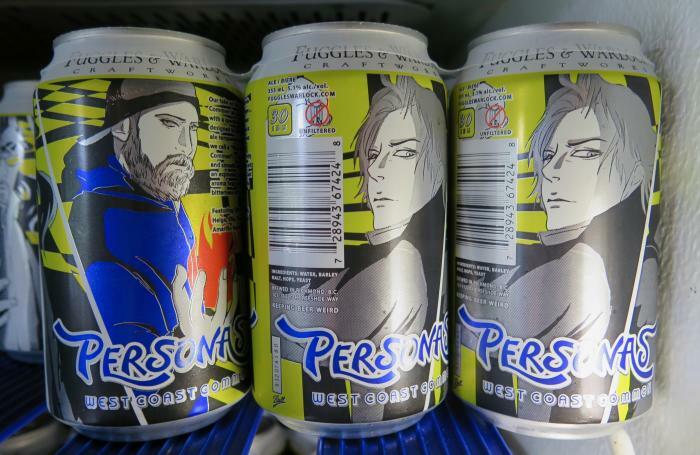 We also have anime artwork on some of our labels [Colyer has a graphic design background] and our tasting room has board games as well as a couple of video game consoles with 40,000 games on them! TR: Beyond the geekery, what’s your approach to beer-making? DC: We’ve always been about ‘keeping beer weird,’ which means tweaking traditional styles and making adventurous beers for people to try. From our Strawberry Wit and our Gin & Lime Pilsner to our sours and experimental IPAs, we have a really diverse line-up. Also, a lot of our beer is great for people who think they don’t like beer: we work hard to show them there’s much more to it than they think. TR: What’s the best way for first-timers to dive into your beers? DC: We make around 20 different beers a year and you need to try as many of them as you can! A four-glass tasting flight is a good way to start and it costs $8. Our annual summer party is also coming up [on June 23] and I usually make around 12 new beers just for that. Everyone is invited but if you miss it, I’d suggest dropping by the tasting room on a sunny day, getting a seat on the patio and trying our Gin & Lime Pilsner. It’s made with gin from Vancouver Island and it’s basically summer in a glass! TR: Tell us more about your tasting room. DC: A lot of brewery tasting rooms aren’t very comfortable. But we wanted ours to have a real neighbourhood pub feel­­: good seating, friendly staff and a great patio. We also serve food and host trivia quiz nights every Thursday. And on the third Saturday of every month, we have an open mike where I usually play drums and keyboard. 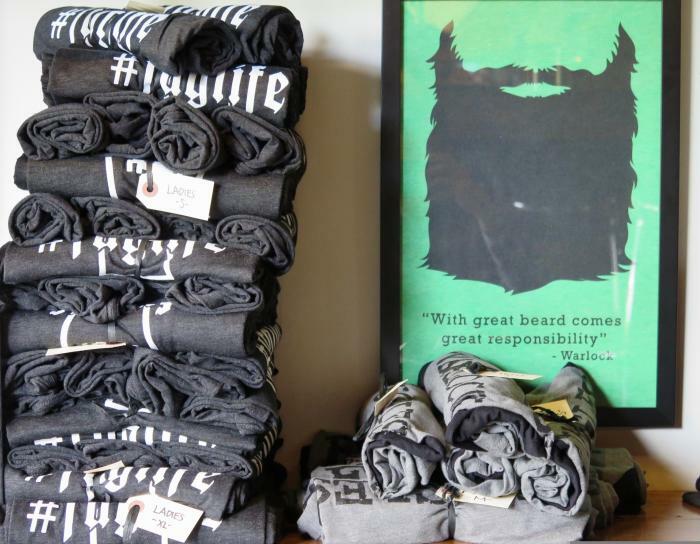 We also have some pretty cool merchandise in the tasting room—the #Fuglife T-shirts are my favourite! Located at 103-11220 Horseshoe Way, the Fuggles & Warlock Craftworks tasting room opens from noon to 9:00pm Sunday to Wednesday and from 11:00am to midnight Thursday to Saturday. If you don’t have a designated driver, the brewery is also easy to reach on transit via the #401 bus route.